A relative newcomer to the WWS circuit, Keighley’s Rebecca Kenna made an immediate impression as she progressed to the semi-finals of the WWS World Championship on her debut appearance in 2016. 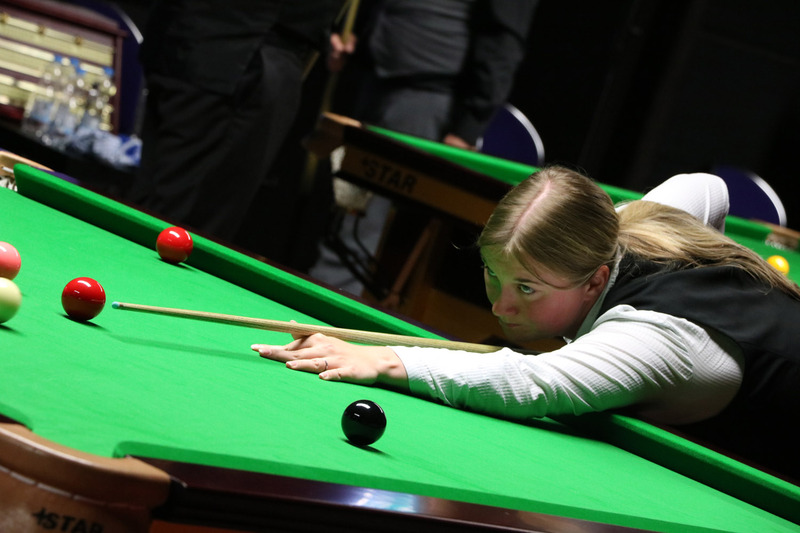 Since then she has continued to perform consistently, defeating Reanne Evans on her way to reaching her first WWS ranking final at the 2017 Connie Gough Trophy and going on to repeat her last four run at the World Women’s Championship to climb to a career-high ranking of number six at the end of her first full season. In 2018 she reached a further two ranking event finals at the UK Women’s Championship and Eden Women’s Masters. Despite losing out to Ng On Yee and Reanne Evans respectively, she underlined her position as one of the most consistent players on the circuit. Away from the table, Kenna is the owner of Cue Sports Yorkshire and is a full-time snooker coach having gained the 1st4sport Level 2 Certificate in Snooker Coaching in November 2018.